A federal clerkship can go far to your next law firm job. A clerkship can even help you get back into law if you’ve suspended your law practice for a while. Keep reading to find out how you can get yourself a clerkship. Summary: Find out what you should do to get your next legal job after gaining experience in a federal clerkship. What Do I Need to Do to Get a Job After a Federal Clerkship? Working in the confines of a judge's chambers is far, far different than working for a law firm with more aggressive people, a myriad of deadlines and the expectations of much higher work quality and hours. No law firms come out and say "Hey! We want one of 1,000+ federal district judge clerks!" Instead, they are generally looking for laterals from major law firms who have what it takes to do the work, get along with clients and fit in-in an ultra-competitive environment. This is how it works and you need to market yourself broadly. As a preliminary matter, it is important to understand that federal law clerks also have some drawbacks. They tend-more so than attorneys that go directly to large law firms out of law school-to be less polished and not as motivated and paranoid as is required to be in a large law firm. Also, federal judges are as a rule better than state judges (in terms of education and pedigree), but not always. They often have no law firm experience, may have been small town prosecutors, academics, or bounced around to different government jobs. Many (but not all) are not the sorts of individuals that would ever be hired by a major law firm. They could not manage clients, attract business, work 100 hour weeks, or do any of the other things that attorneys in large law firms are expected to do. The training a federal law clerk gets under their tutelage is "all over the map" and not always that great. The intellect of federal judges is also not always all that great-but more often than not it is. Federal law clerks often pick up and are indoctrinated into sloppy work habits when working for judges that law firms do not like. More times than I can count, I have seen federal law clerks hired by law firms and ejected like viruses. Their work was considered poor quality and they pick up bad habits that do not work in the long run. What I am saying is that federal law clerks are not necessarily as appealing to law firms as they think they are. There is more need for laterals with experience in law firms that there is for clerks. It is more difficult to get a job in a major law firm out of law school as a litigator than as a federal law clerk. It is also exceedingly competitive in litigation-more competitive than most other practice areas. Virtually anyone can be a litigator; however, things like tax law, ERISA, patent law and so forth require completely different skill sets. These attorneys are always higher in demand. Anyone that graduates from law school can write. Just being a clerk and writing some more is a good thing-but it does not make you that special. Many clerks, for example, think that they can easily make a transition to intellectual property litigation or white collar crime related positions. Despite clerking for a federal judge, you do not have the requisite background to get into a firm doing this at a high level. This means that your best shot will be getting into a law firm as a general commercial litigator. If a federal law clerk "applies" for white collar or IP litigation openings, they are not likely to get very far-at least with a major, high-paying firm. But I certainly hope I am proven wrong. 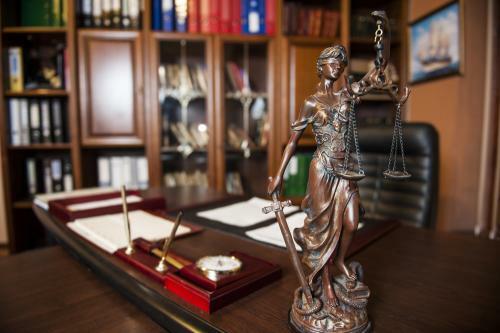 Federal law clerks may work for a federal judge; however, federal judges generally do everything there is to do with criminal matters (sentencing and so forth) and clerks are rarely involved very much. Moreover, most white collar litigators get experience as federal prosecutors (or something similar). Writing opinions as the resident nerd for a judge does not make you qualified to represent a major white collar criminal. Just because you worked on some IP-related matters for a federal judge does not make you qualified to be an IP litigator. Did you take years of complicated science courses in college and/or get advanced degrees in science-related disciplines? Do you even know what it takes to be admitted to the patent bar? Most big firms expect IP litigators to be admitted to the patent bar. Look, I was a federal law clerk before I started my career at Quinn Emanuel-a firm that thankfully likes clerks. I am not saying a clerkship is a bad thing. It is a good thing. The training, insight and depth it gives you will take you far. However, you still need to understand that just because you were a clerk does not mean you do not have to look hard for a job. I know of countless law clerks who have actually begged their judges to do extra years after their clerkships because they could not find a job. I know of others who looked a year or more (without my help) in major markets like Boston, New York and so forth because they could not find a job after a clerkship. I would recommend taking some time and reviewing this article titled The Worst Piece of Attorney Job Search Advice Ever for more information. This explains, to some extent, the approach you are going to need to take in the market. Law clerks are not so much applying for "positions" as they are law firms. You need to be applying to firms and not necessarily jobs. Sitting around applying to jobs on a site like LawCrossing.com is a useful strategy; however, law firms are generally not out there posting jobs for law clerks. As a law clerk, you should be applying to as many firms as possible. See Why Every Attorney Needs to Apply to a Lot of Places (and Not Give Up) When Rejected for more information.